Just Another Sunrise | Just Shooting Memories! 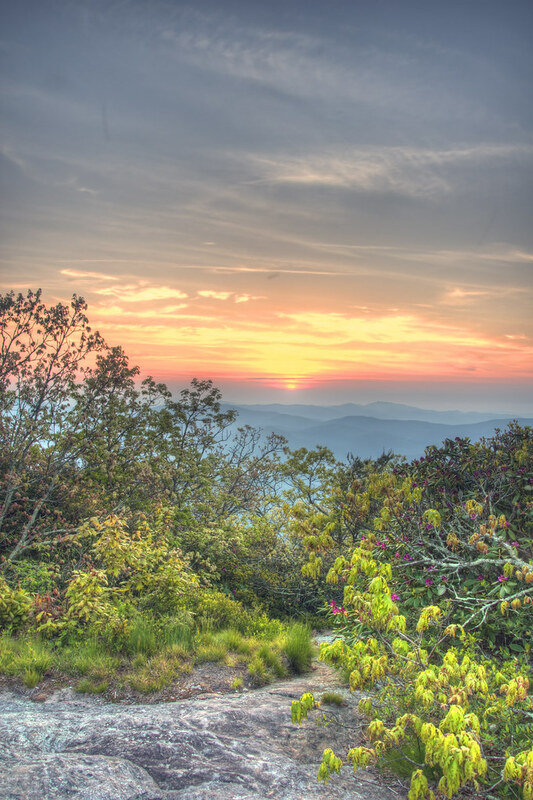 This was another view of the sunrise from the top of Blood Mountain on the Appalachin trail. This was a very exciting hike, when we got to the top, I was very afraid the sunrise was not going to be as good as predicted. Thank goodness, it turned out good. Otherwise, a long up hill hike would have turned into something other than planned. But, I thought it worked out well. I want to build my next house right there. Seeing that would make it worth getting up early every morning. The view would be well worth the hour excruciating hike to it. Unfortunately there are no roads to this spot.